Only have a short amount of time available? Don’t worry, there is a lot to see in a week, and even a week in Iran is worthwhile your time. 1 Week in Iran is just enough time to see Iran’s most famous and most beautiful cities: Tehran, Isfahan and Shiraz. Travel from North to South and stop in Isfahan, a city that is said to be half the world, and see some of the most beautiful mosques, landscapes and eat some of the most delicious Persian cuisine. Have a taste of some of the best Iran has to offer, and leave the smaller cities and off the beaten path destinations for your next visit to Iran. If you only have limited time, and budget is not something you take into account, you might want to fly to save some time and spent all your time in the cities. To give you a better idea of where the cities are located, check out the blue markers on the map below. Keep on reading to see why Tehran, Isfahan and Shiraz should be on your itinerary! 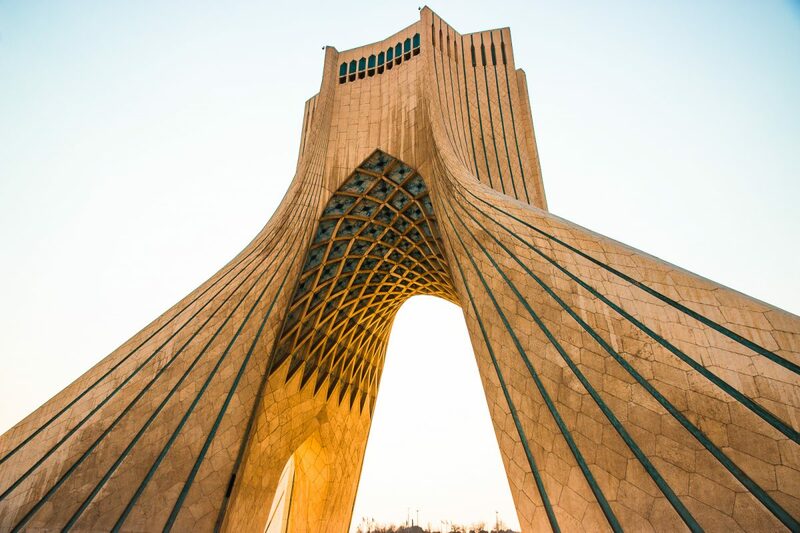 Tehran, Iran’s capital and largest city, is a place you cannot leave of your Iran itinerary. Explore the vibrant hustle and bustle of this concrete jungle, a place that many people tend to leave of their itinerary, which is a shame as it has so much to offer. Wander around the Tehran’s bazaar, visit the former US embassy (now named the Den of Espionage) or admire the beautiful architecture of Golestan palace. These are just a couple of the many things to do in Tehran. As Tehran is home to Iran’s largest international airport, this will be most likely your start and ending point of your trip to Iran, and as such the perfect place to meet other travelers. We recommend to spend at least 2 days in the city, and if you have another day left, use it for a day trip to the mountains surrounding Tehran. From Tehran you can make your way North, should you have a lot of time, or if you are on a strict timeframe, head down South to the beautiful city of Isfahan! There is no shortage of hostels in Tehran, making it easy for the budget backpacker to find a place to stay. From private rooms to dorms, there is something for everyone’s liking in Tehran! Some of Tehran’s most popular places to stay, as of early 2019, are Hi Tehran Hostel, See You in Iran Hostel and Tehran Heritage hostel. And the best thing is, you can now easily book these all on Hostelworld, to see all hostels in Tehran available just click here! Looking for more info, check out our complete blogposts on the best hostels for budget backpackers in Iran here. “Isfahan is Half the World” as the saying goes. In the 16th century the reigning Shah Abbas chose Isfahan as its capital, filling it with bridges, mosques, gardens and many more wonderful architecture that can still be admired today. Many successors kept on adding beautiful architectural pieces, and as such Isfahan is still one of the most beautiful cities for architecture lovers, and photographers, visiting Iran. 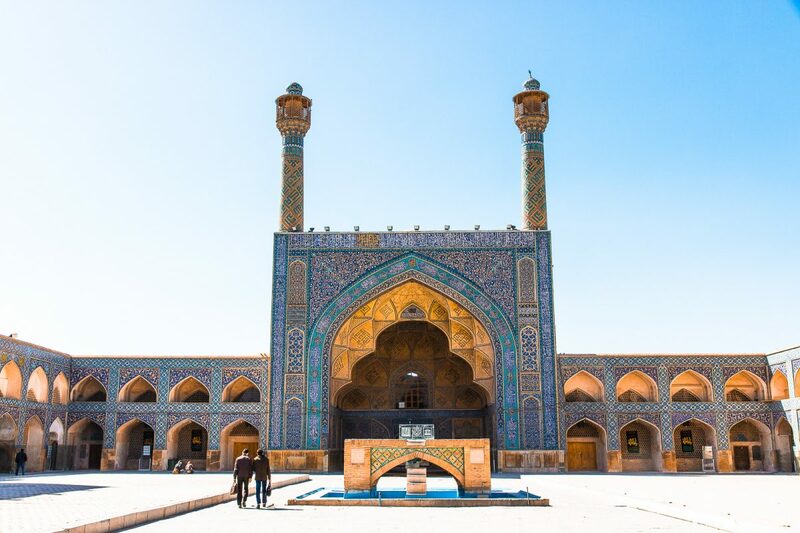 Admire some of Iran’s most beautiful mosques, such as the Shah Mosque, explore Isfahan’s bazaar or simply watch daily life go by at the Naqsh-e Jahan square. These are just some examples of the many unforgettable things to do in Isfahan. 3 Days should give you enough time to see some of Isfahan’s most beautiful highlights and experience some of Iran’s culture. For many travelers Isfahan is the highlight of their trip, especially those who are only visiting Iran’s cities, it is simply a place you cannot leave out of your Iran itinerary! With the rising popularity of tourism in Tehran it isn’t hard to find budget and non budget accommodation in Isfahan. For budget accommodation, check out Hostelworld, as this is currently one of the few booking websites that allows you to book accommodation in Iran. Some of the most popular hostels in Isfahan are currently RagRug Hostel, a modern hostel located slightly out of the center of Isfahan, and Mahbibi Hostel, a more traditional hostel in a central location. These hostels both offer a selection of dorm rooms and private rooms, perfect for travelers visiting Iran on a budget. Shiraz, Iran’s 5th largest city, is located in the South of Iran and is one of Iran’s most popular tourist destination. The reason, its close proximity to the remains of Persepolis. 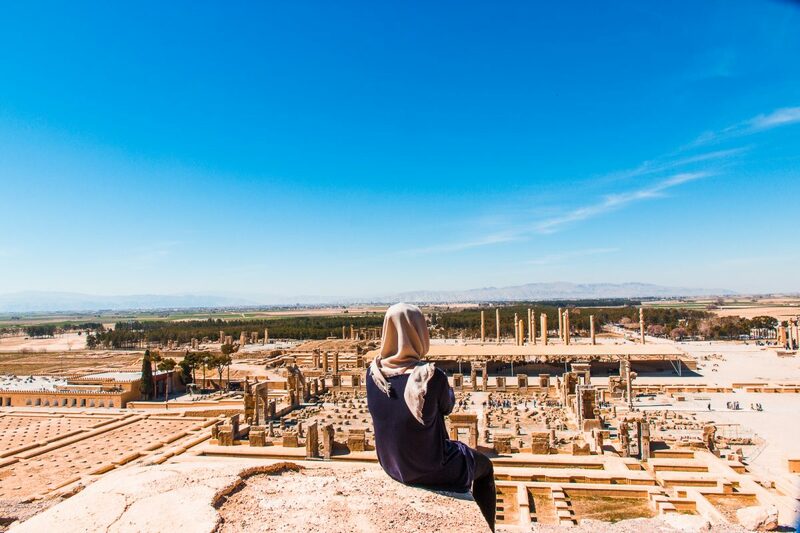 And while Persepolis is a beautiful place, a place that draws tourists from all over the world, it isn’t the only reason you should visit Shiraz. Shiraz is also home to the tomb of Iran’s most famous poet, and to one of the most colorful and unique mosques in Iran: the Nasir al Mulk Mosque. Take a walk through Shiraz’s bazaar, explore Shiraz’s most beautiful mosques or simply indulge in the delicious Persian cuisine, these are just some of the many amazing things to do in Shiraz. You will need a full two days to admire the highlights of Shiraz, and if you are a history lover and came to Iran to see the ruins of Persepolis, you will need at least another half a day, as Persepolis is located 60km out of Shiraz. From Shiraz you can either decide to fly back to Tehran, if you are on a time crunch, or to enjoy the beautiful train ride through the desert and mountain landscapes of Iran. With most of Shiraz’s attractions being centrally located it is easiest to find a centrally located hostel, especially for those traveling Iran on a budget, so you can explore the city by foot. The easiest way to book accommodation in Shiraz is by using Hostelworld, as this is currently one of the few booking sites available that allows you to book a hostel in Iran. Currently, one of the most popular hostels in Shiraz is Taha Hostel but there are plenty of other options out there which you can find here! If you have a little bit more time to spend extend your trip to a two week trip in Iran. 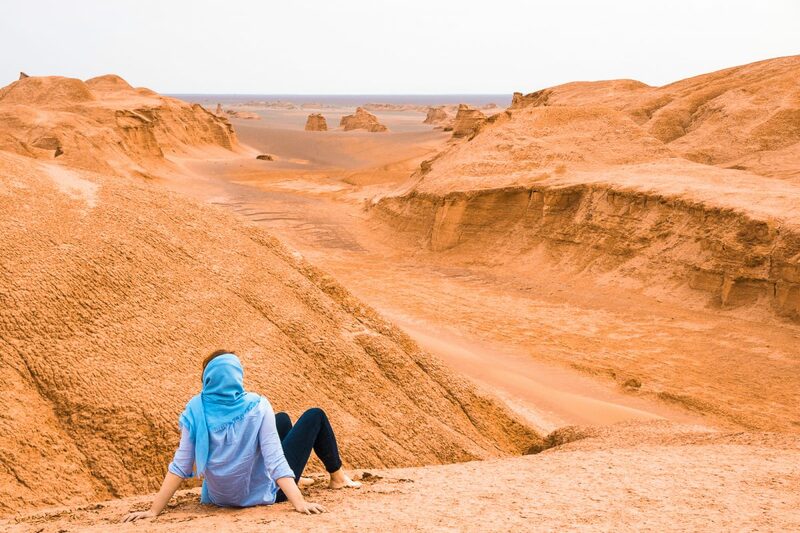 While a week will give you just enough to scratch the surface of Iran’s beauty, two weeks will allow you to not only see the big cities, but also to see some smaller desert cities, which will guaranteed add value to your trip to Iran. 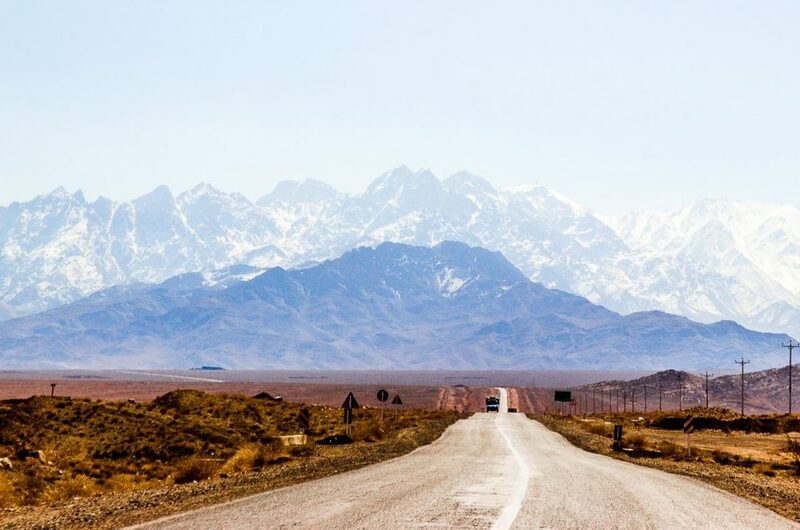 From these desert cities it is easy to explore nearby deserts, mountains and see some of Iran’s most beautiful landscapes. Most people traveling to Iran will follow the itinerary below, as this covers the highlights of Iran. It will offer the best of both worlds: nature and architecture, and will allow you as a traveler to see what Iran is like! Curious to see what you should add to your Iran itinerary, check out the map below. 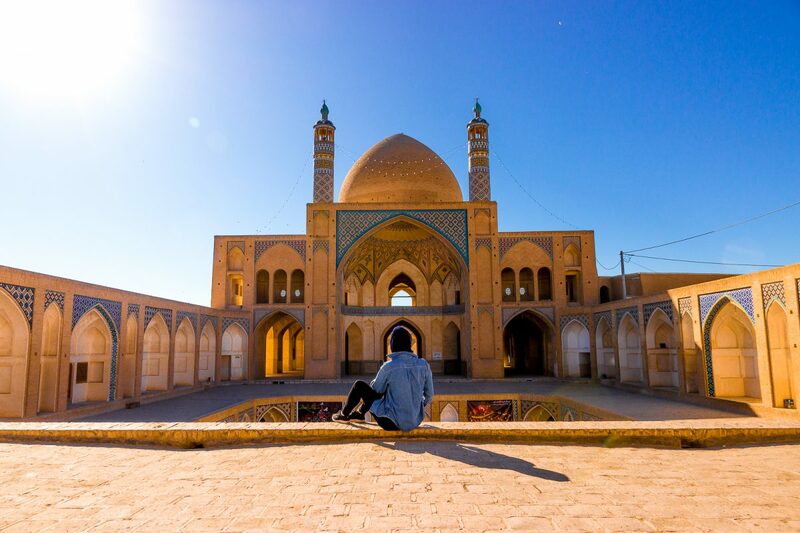 Instead of just seeing Tehran, Isfahan and Shiraz, consider adding the two desert cities, Kashan and Yazd to your trip, read on below why these should be on your itinerary. Kashan, located conveniently between Tehran and Isfahan, is a town that is famous for its traditional houses, and impeccable views. Wander through the small alleys of the old town, visit the bazar, awe at the architecture of the traditional buildings or simply enjoy the view. From Kashan many travelers opt to either spent a day, or even a night in the desert, one of the most famous things to do in Kashan. A day could be all you need to explore this cozy city, but we recommend to spent at leas two days here to fully take it in, and not only explore Kashan, but also its surroundings. To find out exactly what there is to do in Kashan check out our complete guide to Kashan here. From Kashan, instead of taking the bus to Isfahan, opt to book a private tour, easily to be shared with other travelers, to see some of the beautiful stops between Kashan and Isfahan such as Abyaneh and the mosque in Aran va Bidgol. Accommodation in Kashan isn’t hard to find as it has is becoming more and more popular with tourist to visit this beautiful city. The best thing is to find accommodation that is located in the older part of town, as this will easily allow you to walk to the major sights and save some money on transport. Currently, the easiest way to book a hostel is by using Hostelworld, as this is one of the few booking sites out there that allows you to book hostels in Iran. Currently, one of the most popular places to stay for backpackers is Sana Historical Hostel, but you can find all available hostels in Kashan here. Yazd, another desert city, located East of Isfahan. Yazd is the perfect stop between Isfahan and Shiraz, and can easily be added if you have more then a week to spend in Iran. There are many reasons to visit Yazd: to see the traditional wind towers of Yazd, created to keep the houses cool during hot summer days, to learn more about Zoroastrianism, or again, to explore the beautiful deserts of Iran. It doesn’t matter if you are an architecture lover or a nature lover, there is something for everyone in Yazd. Two days will be enough to see the city itself, if you have an extra day left in your Iran itinerary consider spending a day in the desert by booking a tour, available at one of the many tour offices in the heart of Yazd. If you are looking to see a bit more off the beaten path of Iran, consider spending a night/day in the nearby town of Taft, at the lovely Nartitee Ecolodge. You will be warmly welcomed by a friendly family who cooks the most delicious food, will be able to tell you more about Zoroastrianism and has bikes available to cycle through the beautiful surroundings. The accommodation is simple, but so peaceful and surrounded by beautiful surroundings. Visiting Taft for a day was one of the highlights of our four week trip to Iran. Find out more info on Nartitee here. Besides deciding to perhaps stay in Taft for a night, it is easiest to book a local hostel with a central location for Yazd. From here it will be easy to find restaurants and many of Yazd’s most beautiful sights. One of the most popular hostels currently available on Hostelworld is Badgir Hostel. To see all hostels available in Yazd here, to find the best fit for you. Looking for an overview of the best hostels in Iran, be sure to check out our complete guide to budget accommodation in Iran here. 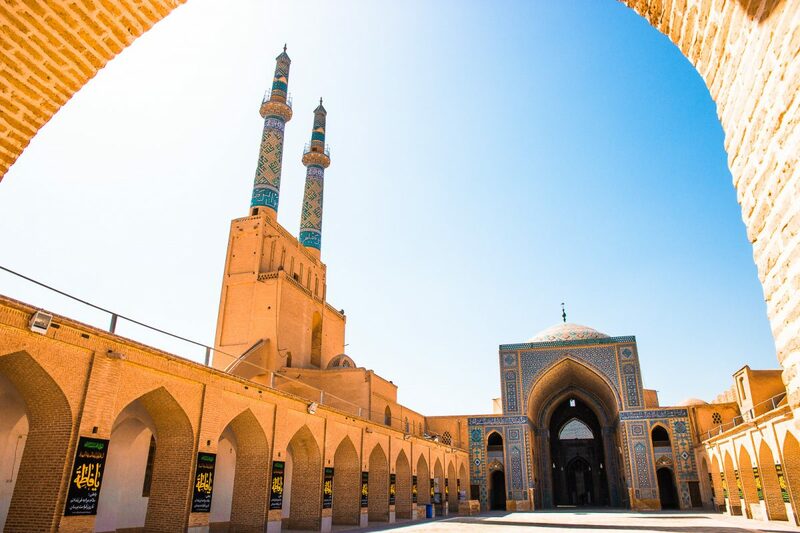 The Jameh Mosque in Yazd. 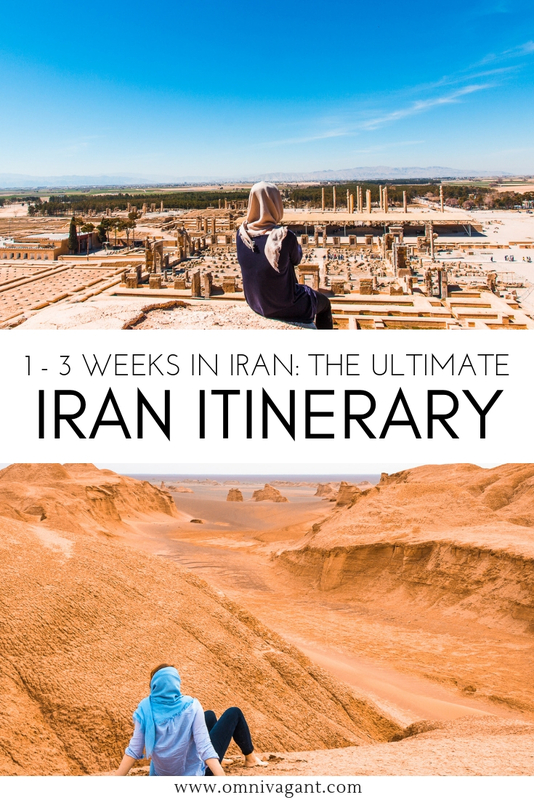 Want to turn two weeks to three weeks in Iran? Don’t worry, there is enough to see and to do in Iran to keep you busy for weeks. If you have more then two weeks to spend in Iran, consider going off the beaten path in Iran. Instead of making your way from Yazd to Shiraz, opt to go more East, and more South in Iran, this is the itinerary we followed below ourselves for 3,5 weeks in 2017. Visit one of the most unique and beautiful deserts of Iran: the Lut desert and make your way South to explore the beautiful Persian gulf area. This is the ultimate itinerary for adventure travelers, who love to see a bit more then the touristic sights in Iran. While you might run into a few other tourists in these areas, you can easily also go without seeing any for days. Visit the Lut desert and visiting the Persian Gulf is a unique experience, and perfect if you are looking to see a bit more of Iran’s unique and beautiful landscapes. Keep on reading to find out a bit more on these unique destinations! If you have been in the Middle East or Africa before then the sand dune deserts of Yazd and Kashan might not be that spectacular to you. 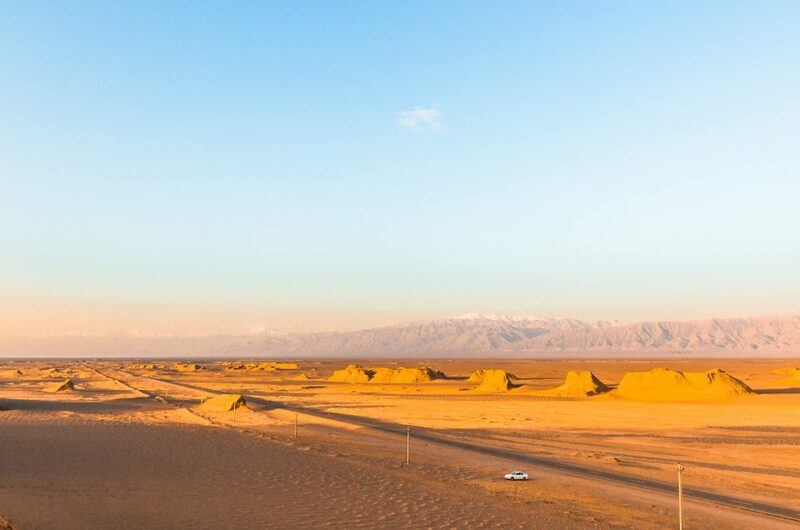 If that is the case you might want to skip on the more touristy desert tours, and opt for a more off the beaten path desert instead: the Dasht-e Lut desert, also named the Lut desert. The Lut desert is located East of the city of Kerman and is home to Kaluts, unique sand formations like no where else in the world. It is the Kaluts that earned this desert a spot on the UNESCO World Heritage Site list. 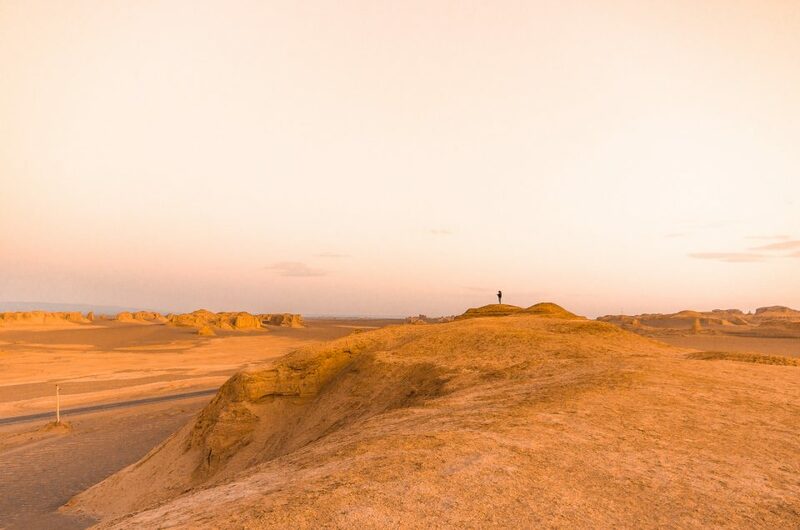 The easiest way to visit the Lut desert is by setting up a tour from Kerman, this is also the most advisable way to visit the Lut desert as visiting the Kaluts without a guide is illegal, the reason being their concern for your safety. 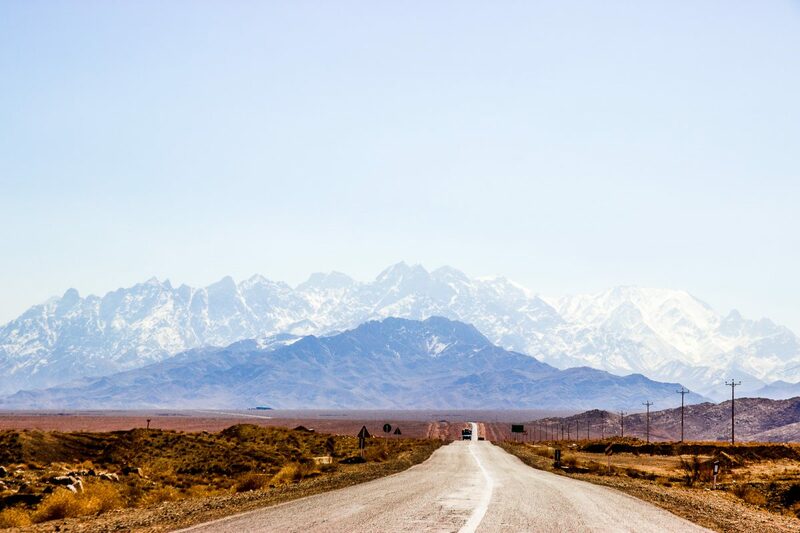 The Lut desert is partially located in the Sistan and Baluchestan region, for which many countries give a strong negative travel advice due to the drug smuggling that happens in these regions. We experienced none of these dangers when visiting the Lut desert and considered it one of the most unique experiences of our trips. Read more about safety in Iran and other tips in our article on 86 things you must know before traveling to Iran. Qeshm Island is located in the Persian Gulf and has slowly been gaining popularity with foreign tourists visiting Iran, and we cannot blame them, as it is one of the most stunning and unique locations of Iran. 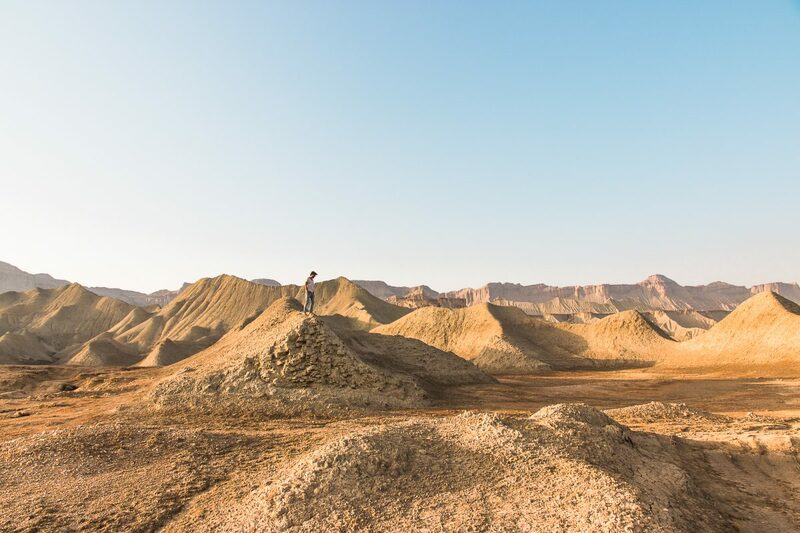 Not only many off the beaten path travel bloggers, but also vloggers, are now visiting this stunning part of Iran known for its rugged landscapes and delicious Persian sea food cuisine. 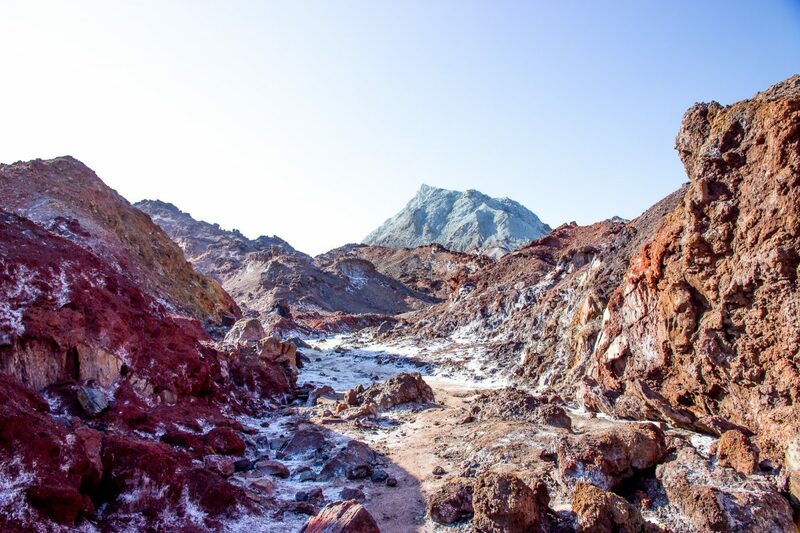 Explore the wildlife of Qeshm, tour the island for some of the unique landscapes such as Chahkooh Valley or perhaps explore the world’s longest salt cave, you can do it all on Qeshm Island. If you are planning on visiting Qeshm Island be sure to check out our complete Qeshm island travel guide, containing all info on how to get there, things to do and many more tips! East of Qeshm Island you can find the small island of Hormuz, known for its red color earth that makes the whole island look like it located on another planet. While small, this island is simply like no other, offering stunning landscape views a rainbow valley and some beautiful unique red sand beaches. As Hormuz island is small you can easily combine visiting the island with a visit to Qeshm and simply scooter or take a tuktuk around the island for a day. But it might be worthwhile your time to stay the night and see the sunset, and the sunrise over the beautiful Persian Gulf before making your way back to the main land. There are ferries going daily to the mainland coastal city of Bandar Abbas (from where the ferries to Qeshm also leave). From Bandar Abbas make your way up North to the beautiful city of Shiraz to end your trip. Mashhad – Mashhad is located in Northeast Iran and is mainly known for religious pilgrimage reasons, and while fairly unexplored, it is actually the second largest city of Iran. Tabriz – Tabriz is located North of Tehran, and for most people is considered a bit too far out of their itinerary for Iran. However if you have the time it might be worth exploring as it is home to one of the oldest bazaars in the Middle East. Kermanshah – Kermanshah is located in the Kurdish region of Iran (West Iran). Due to its location it is often skipped by travelers, meaning only the most off the beaten path travelers head this way. 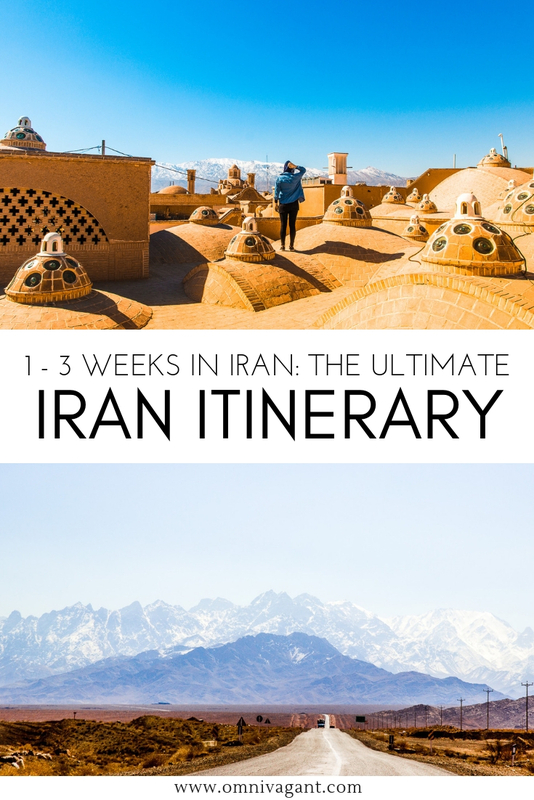 And there you have it, everything you need to know to create your ultimate Iran itinerary. Looking for more inspiration on Iran? 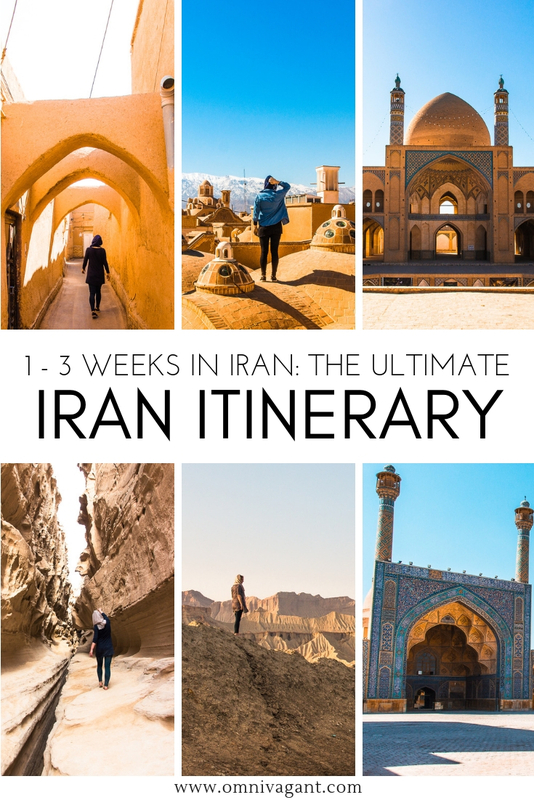 Find all our blogposts on Iran here or check out our complete Iran travel guide… and oh, don’t forget to pin it!